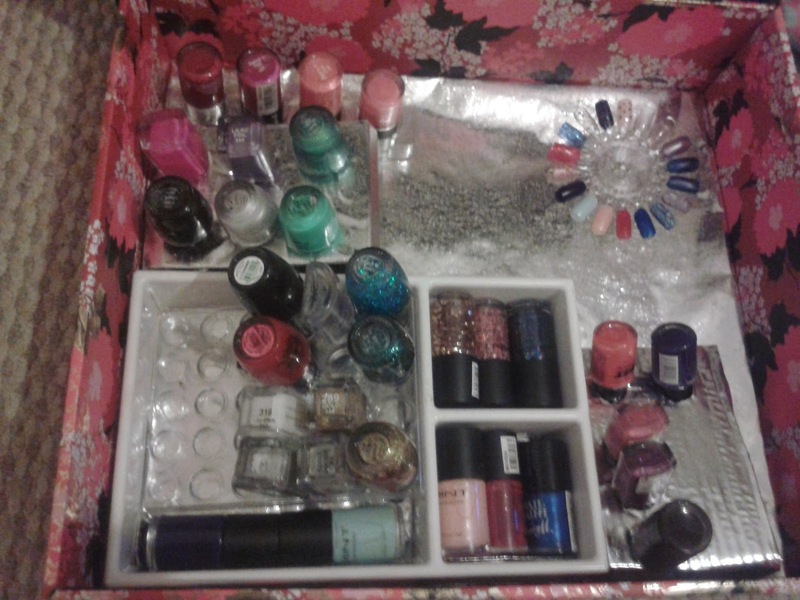 I have an ever growing amount of nail polishes and need more space for them. 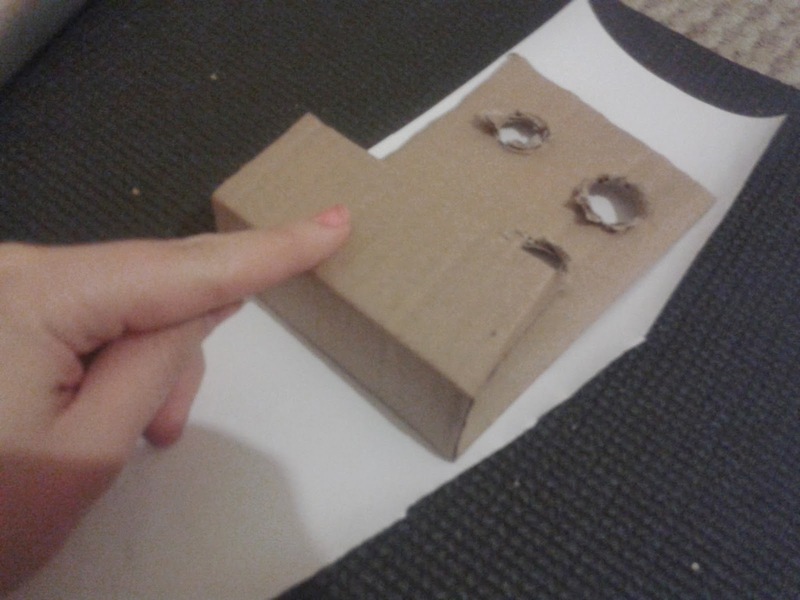 Using a bit of creativity and a card board box. 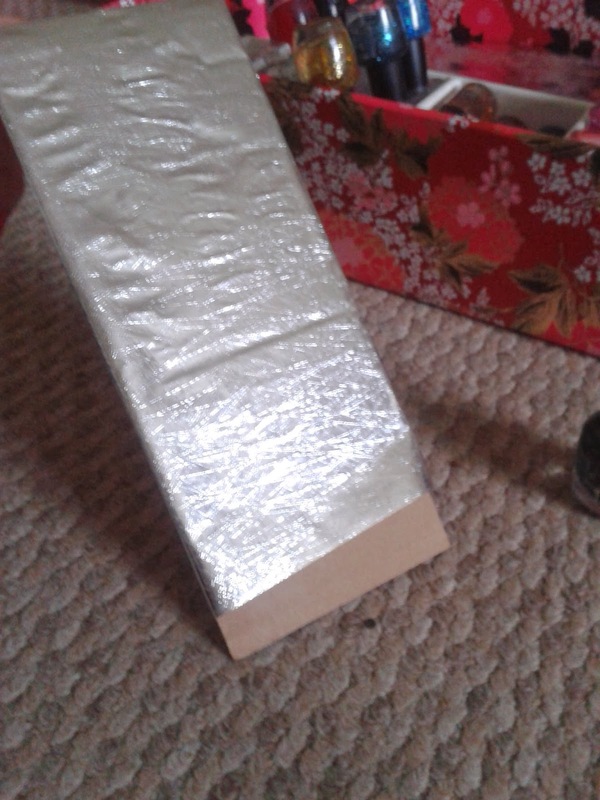 Cut out a piece of wrapping just larger then you need, ( I have used extra because my paper is so thin. 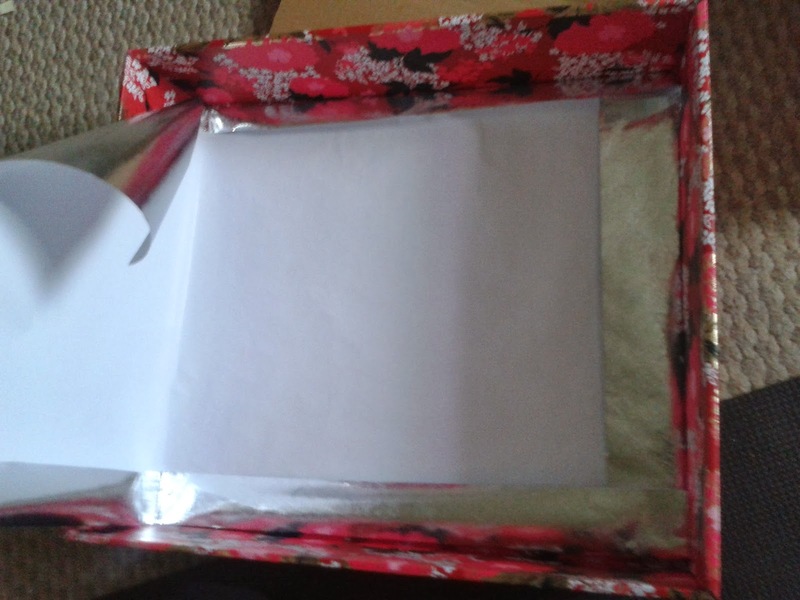 fold the edges to fit and give the box smooth edges. 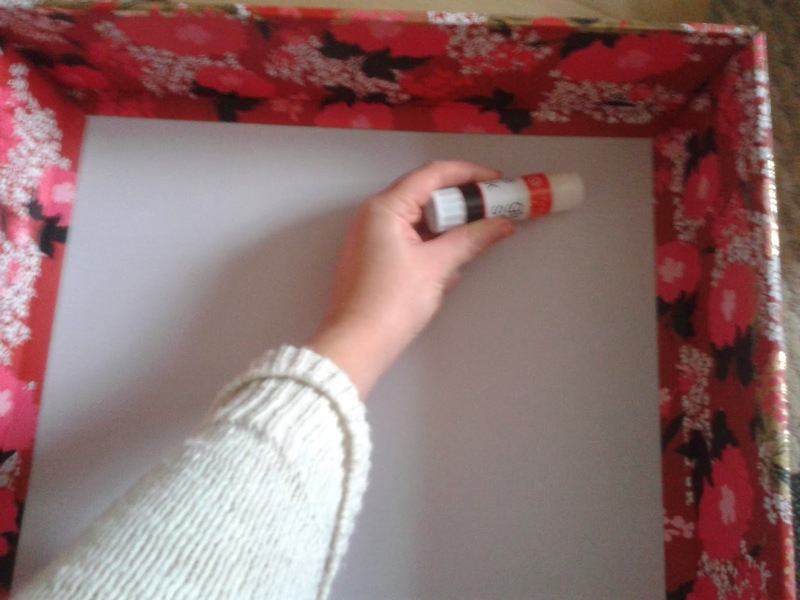 Using a glue stick coat the back of the box and fold the paper in into the box press the paper down onto background. 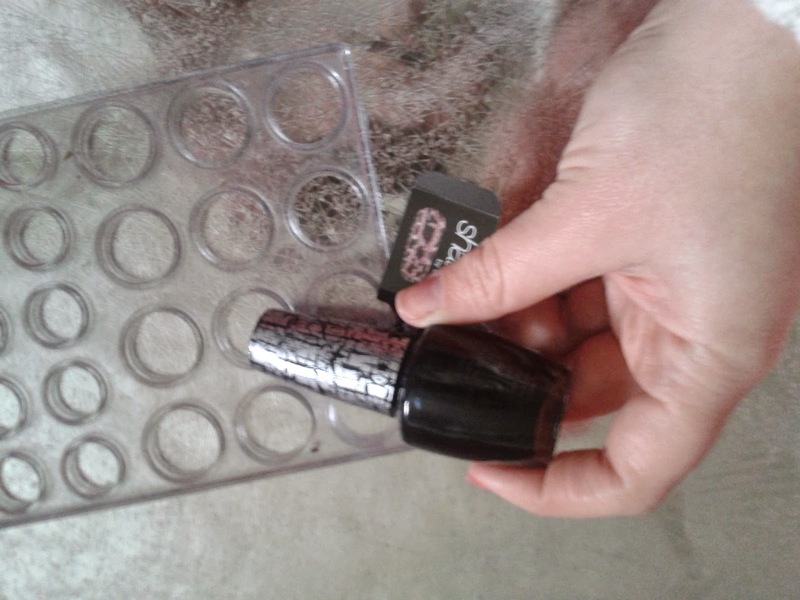 Fold over 2″ and then another 2.5″ this should make a sloped ramp for your nail polishes to hover off the bottom of the box. through easily.Smooth down the edges by pressing from the front to the back and swirl your finger around the edges. 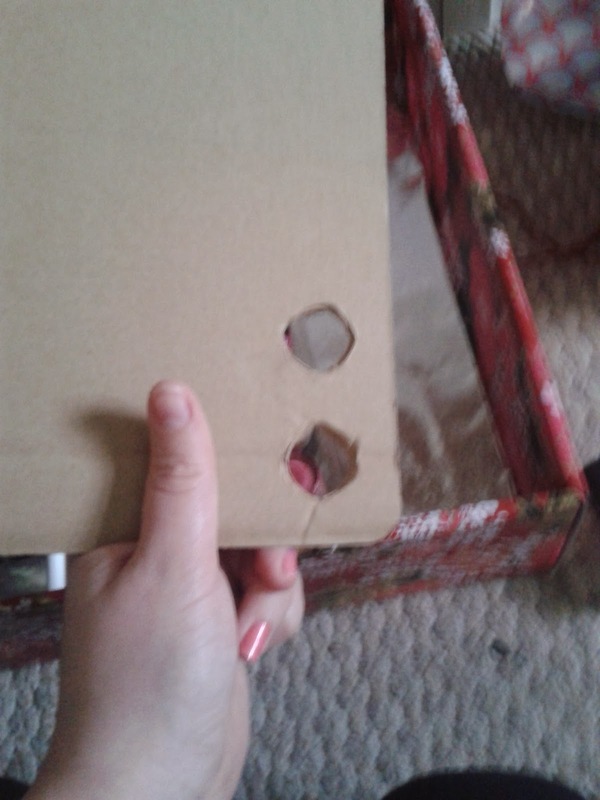 Cut out a small circle and cover all edges in celotape including 1.5″ of over hang and use this to paint your nail colours onto. « Creating a handmade lace clutch and satchel bag.